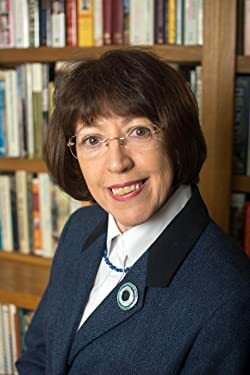 I’m very pleased to welcome Marie MacPherson as my Author in the Spotlight today. 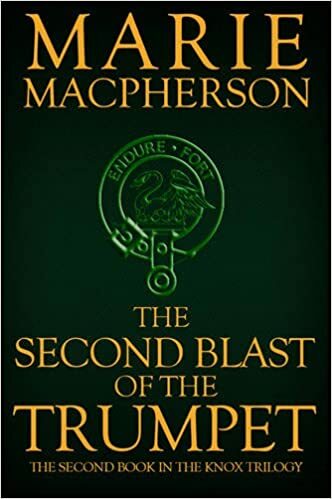 The second in her Knox Blast of the Trumpet trilogy was published in September 2015. You can order a copy online here. Marie has very kindly offered a signed copy of the book as a giveaway for a UK reader so look for the entry link at the bottom of the page. 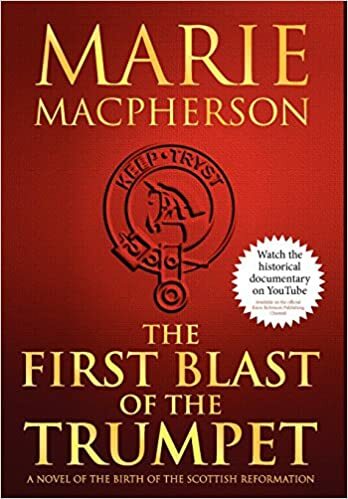 I’m an Honest Toun lass, born in Musselburgh and raised on the site of the Battle of Pinkie – which may explain my passion for 16th century Scottish history. 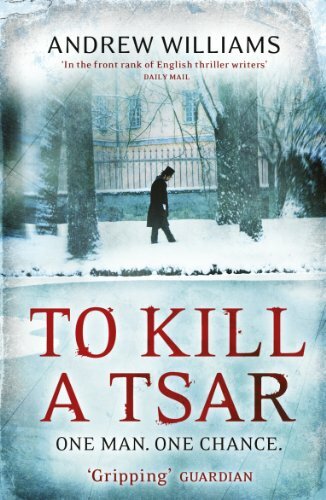 But after seeing the film, Dr Zhivago, I chose to study Russian at Strathclyde University and spent a year in the Soviet Union to research my PhD on the writer Lermontov, said to be descended from Thomas the Rhymer. Taking early retirement from an academic career gave me the opportunity to rekindle my interest in Scottish history, especially the rich history of East Lothian. My initial idea was to write about Mary, Queen of Scots but while researching the Treaty of Haddington that betrothed her to the French Dauphin, I came across Elisabeth Hepburn, the prioress of St Mary’s Abbey. She turned out to be a most amazing character – a strong woman on a male dominated world. The trail then led to John Knox who was born in Haddington around 1523/14. The fiery reformer then hijacked my project. The first book was rejected by Scottish publishers as being ‘too Scottish’ with its use of Scots language. Luckily, an American publisher – coincidentally called Knox Robinson Publishing – loved the story. Following their suggestion, I modified the Scots vocabulary but was then asked to revert to the original version because it had lost its ‘magic’. Their request for a sequel, better still a trilogy, had me racing back to the history books to research Knox’s story. In a nutshell, what is your trilogy about? The First Blast of the Trumpet is based on the early, undocumented life of John Knox and focuses on the trials and tribulations of reluctant prioress, Elisabeth Hepburn, great-aunt of James, Earl of Bothwell, and her relationship with the young Knox. Because so little is known about his life before 1540, when he broke away from the Roman Catholic Church, I had more scope to exploit artistic license. It ends with Knox imprisoned in the galleys. The Second Blast of the Trumpet follows Knox into exile, to England where he meets his first wife and then to Geneva where he crosses swords with Calvin. Most surprisingly, it turns out that the notorious misogynist loved female company and The Second Blast explores his relationships with the various women in his life. That was easy. I stole it from Knox’s polemical pamphlet, The First Blast of the Trumpet against the Monstrous Regiment of Women. And of course the next had to be The Second Blast. The Second Blast was launched with a party in St Mary’s Kirk in Haddington. It was quite a blast with entertainment by musical duo Shatter’d Consort dressed in 16th century costume, wine and nibbles by local café, Lanterne Rouge café, all taking place beneath the pulpit where Knox preached. I like to think he was wagging a finger at us. For my sins, I’m now working on the third part of the trilogy, The Last Blast of the Trumpet. As a change from my diet of history for research, I’ve been enjoying historical thrillers. 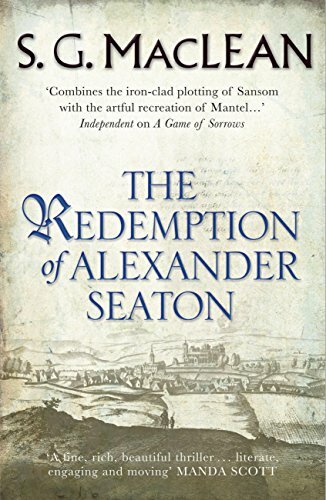 S. G. MacLean’s The Redemption of Alexander Seaton, is a murder mystery set in 17th century Scotland involving a fallen minister, a clandestine love affair and lots of historical detail to chew on. 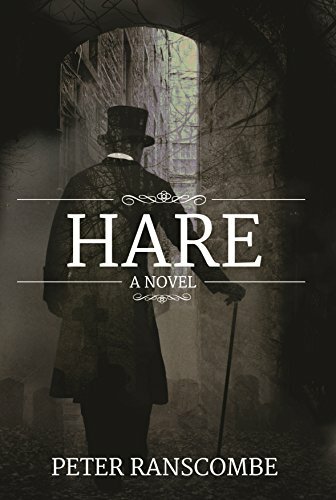 Hare, Peter Ranscombe, is another historical thriller about one half of the infamous duo of Edinburgh murderers, Burke and Hare. It follows the tale of Hare who escaped the gallows after turning king’s evidence against Burke. 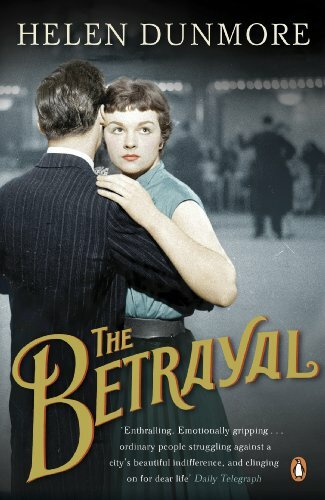 As a tribute to Helen Dunmore who passed away in June, I’m reading The Betrayal, her sequel to The Siege, about the siege of Leningrad. Her writing is wonderfully poetic. Such a sad loss to literature. That’s a really hard choice to make but since I’ve always admired the novels of Edinburgh writer, Dorothy Dunnett, I’d like to take her series, The Lymond Chronicles, set in 16th century Scotland. IMHO, Dunnett is the gold standard for historical fiction writers. Her novels are like crossword puzzles and so will keep my brain busy working out her clues and references. Actually, the producers of Poldark have taken out an option on the Lymond Chronicles and Dunnett fans are discussing their dream cast as we speak. A cop-out I know, but I’d hate to upset them by suggesting who should play their heroes and heroines. 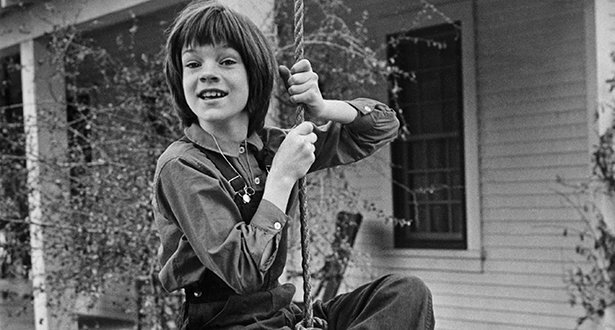 According to Buzz Feed, I’m Scout Finch in To Kill a Mocking Bird – so I’m happy to go along with that. Thanks Marie – great answers. If you’d like a chance to win a signed hardback copy of The Second Blast of the Trumpet, click on the link below. It’s open to UK residents only and you can enter up until midnight on Wednesday 23rd August. I will contact the randomly drawn winner within 24 hours. What an interesting post. Thanks Ladies! This was so interesting to read – I grew up near Haddington, in North Berwick, and had no idea of the history. This will definitely be on my tbr list this year. North Berwick is a lovely place. Thanks Lauren. East Lothian has such a rich history, I’ve become hooked. Bothwell and the witches of North Berwick might be one of my projects! There’s certainly plenty to get your teeth stuck into there!